Lady's fingers/okra or "bhindi" as they are called in Hindi is often used in most Indian vegetarian homes. They are known to have numerous health benefits. 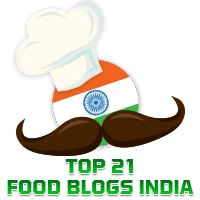 Elsewhere in this blog, you will find recipes for dishes using lady's fingers such as Bharwan Bhindi, Bhenda Sagle, and Spicy Bhindi Andhra style. Today's Masaledar Bhindi is adapted from the recipe by Master Chef Sanjeev Kapoor in one of his many cookery books. For best results, it is essential that the bhindi you choose should be tender. Make a slit lengthwise from top to bottom on each of the lady's fingers. Keep aside. Remove the cover and saute till the lady's fingers are crisp.